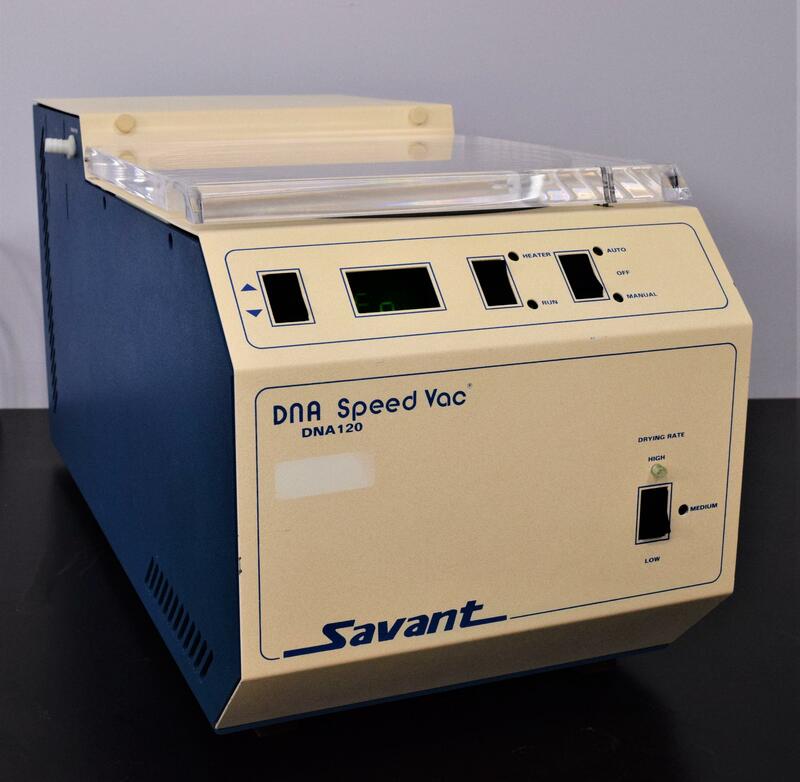 Savant DNA120 Speed Vac Concentrator DNA RNA Sample Dryer with 36 Well Rotor . New Life Scientific, Inc.
Our in-house technician inspected the Savant DNA120 Speed Vac and found it to be in good working and cosmetic condition. The technician powered on the Speed Vac and got it to pull down a good vacuum; then tested the heater and all display button options. Everything operates properly and functions as it should.